The University of Virginia has been the centerpiece of my life. I grew up in Charlottesville. I'm a 6th generation UVA Grad. I met my husband as a second year and we later got married in Charlottesville. I also launched my professional art career at UVA. The Bicentennial Celebration is the perfect time to give back to the place that has given so much to me. 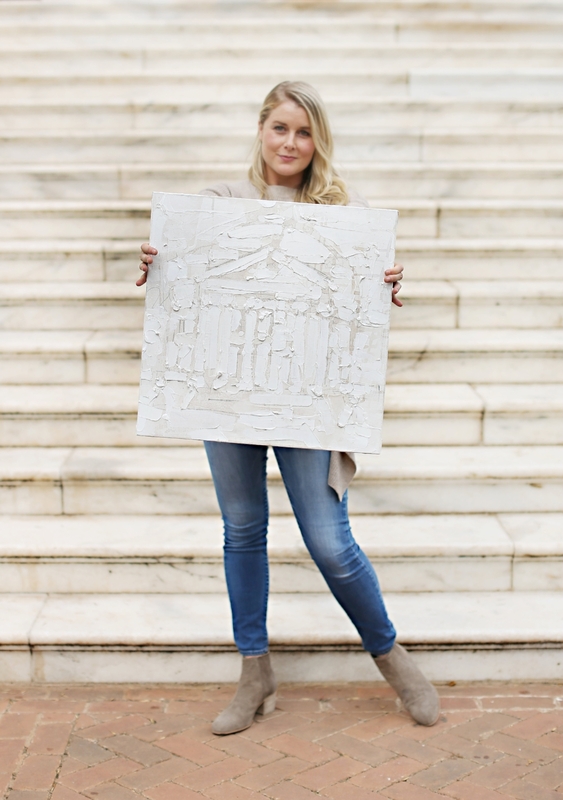 There is no better way to celebrate UVA than by honoring its most iconic symbol - The Rotunda. It's classic lines have never ceased to inspire me as an artist. I am painting 200 oils to commemorate 200 years, but countless studies of The Rotunda led to several other designs. On this website you will find my limited edition abstract depictions of The Rotunda, including originals and prints. The oil collection will be the first available and the other styles will soon follow. Stay posted by signing up for my newsletter below. This project comes from a place of love for UVA and Charlottesville. I hope you enjoy my work as much as I enjoyed creating it.